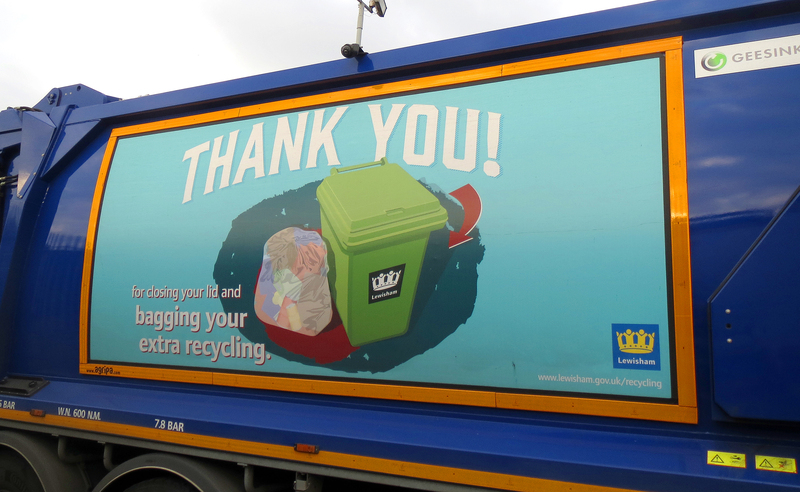 How have the Refuse and Recycling Service Standards ‘bedded in’? Back in the summer of July 2013, four Field Officers were employed by Lewisham Council to undertake what was seen at the time as a relatively short programme of rolling out brand new Service Standards. These were being introduced to clarify what the roles of the crews were when delivering the refuse and recycling services and also what role the residents played. Residents that receive a kerbside collection will probably be familiar with these new Standards by now. This heralds a new way of doing things in Lewisham and is the first time since collections began that residents are having to bring their bins to the boundary of their property themselves – if they do of course want their bins emptied. Introducing standards for these services is nothing new in London. Most boroughs in the capital have something similar in place that clarifies the roles of crews and residents alike. Greenwich for example ask their residents to leave their bins on the public highway if they want a collection. However in Lewisham we say to leave the bins at the edge of the property boundary to avoid obstructing the pavement. Residents are then expected to return the bins back to their property at their earliest possible convenience once the crews have emptied them and left them at the outside boundary without blocking the public highway. Now that over a year has passed since their introduction, we wanted to find out how the Service Standards have ‘bedded in’. So we spoke to crews, our Field Officers and looked at correspondence that came in via email and issues that were raised over the phone to see how the rollout went. We started by asking our crews what their thoughts were on the Service Standards roll out. Their responses were on the whole enthusiastic which we were pleased to hear. They told us that residents were responding well to the changes. There were and still are residents that forget to put their bins out on the day of collection before 6am which results in them not having their bins emptied. When this happens, we have to inform the residents in question that they won’t be getting another collection until the following week. Unless of course its an assisted collection. 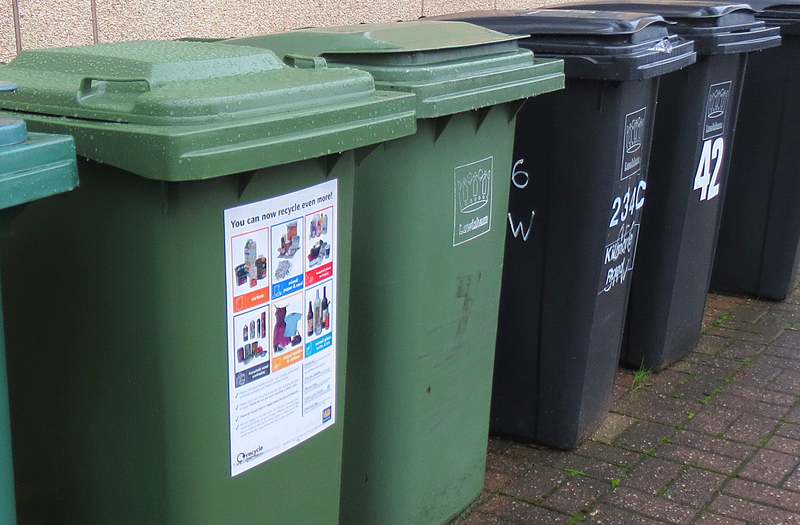 In some instances the changes can be seen as beneficial to residents as collections aren’t always needed every week, which means that bins won’t need to be brought in off the street every week. Those who recycle, compost and generally reduce their waste may only need a collection once a fortnight or even once a month in some cases? You also don’t want your bin sitting outside of your house if you are on holiday. From December onwards we will no longer have any Field Officers but their help in ensuring everything rolled out smoothly was invaluable. They fed back all issues and problems regarding the rollout and painted a very positive picture. They said that crews and residents alike have adapted well and have responded positively by bringing out their bins. Where there’s been uncertainty, they’ve made visits to residents properties to sort out any problems and issues. But its not all about bringing the bins to the boundary of the property. The measures are also designed to help residents reduce the amount of waste they generate. When crews come across bins that have been over producing and the lid of the bin is up with bags of waste sticking out, the address is taken down and the resident will receive a letter about this and reminding them that lids must be down on the day of collection. 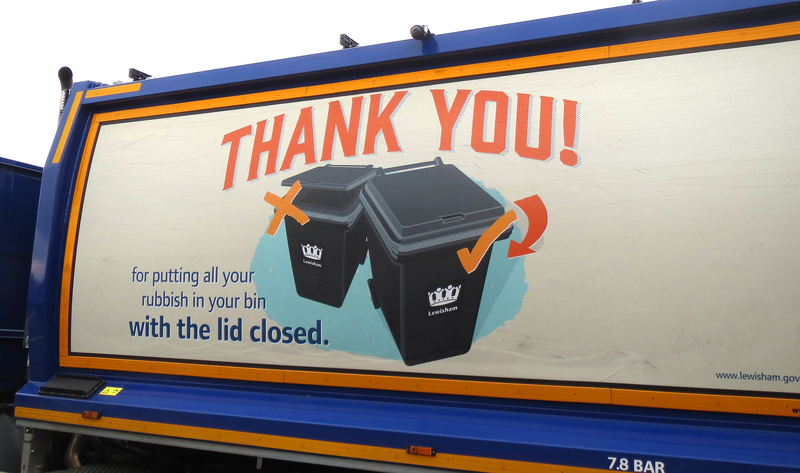 This partnership approach with residents is working well and we want to thank everyone who have helped make the transition and the change in Lewisham bin collection policy a smooth and an easy one. 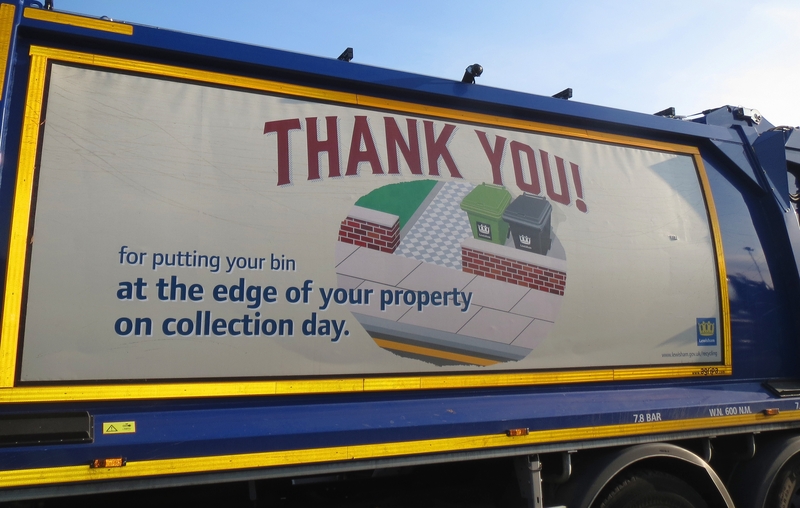 All we ask now is for residents to remember to take their bins back onto their properties after their collection which will keep the streets looking tidier and prevent passersby from using the bins to deposit other types of waste. Categories: Uncategorized | Tags: Bin lids down in Lewisham, Bins out on collection day, Lewisham Council Service Standards, Lewisham's recycling service, Lewisham's refuse and recycling service, No side waste in Lewisham, Recycling, Recycling in Lewisham, Refuse, Refuse and Recycling, Refuse service in Lewisham, Service Standards, side waste, Side waste in Lewisham, Tacking side waste in Lewisham, Thank you for putting your bins out | Permalink. 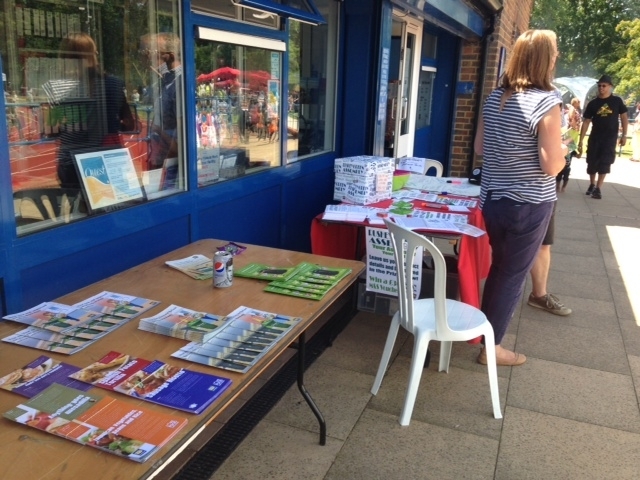 Sunday the 8th June was an absolute scorcher and two members of the recycling team braved the heat to man a stall at the Rushey Green Festival that took place at the Ladywell Arena. 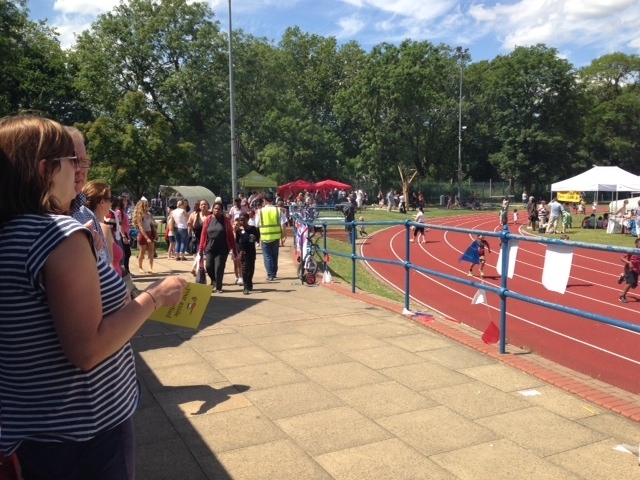 Funded by the Rushey Green Ward Assembly and sponsored by Barratts Homes, Hunters Estates and L&Q the festival was completely organised and hosted by the Rushey Green Time Bank. It was designed to be a family friendly community event with fun activities (and food!) 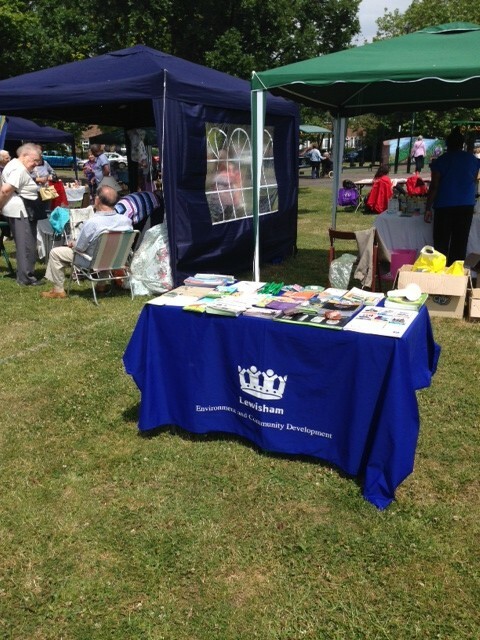 to gather residents for a celebration of local talent and opportunities to meet other local groups and people. You could even get your bike fixed and learn something more Council services and what’s going on in the ward. Over 1500 people came along and were entertained by multiple performers – ‘Let’s Swing’, ‘Wuntanara’, ‘Heart of Steel’ and Alan Dunn ( from Bob Geldof Band/Boomtown Rats) accompanied by Kirsten Hammond. Categories: community engagement, recycling, ward assembly | Tags: community engagement, Recycling, Rushey Green Festival, Rushey Green Time Bank, Rushey Green Ward Assembly | Permalink.